If you visit your local Arthur Murray dance studio, you are not likely to learn about hip hop dance formations. Most dance studios are more concerned with teaching couples to dance a nice waltz or a frisky chacha. 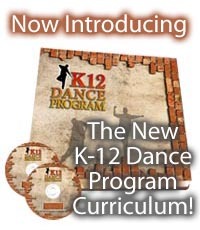 We offer an excellent dance curriculum with which you will learn all about teaching groups of students how to dance in formation. Take $25 Off Any Curriculum Purchase. Use code "DANCE10" at checkout. Offer ends on Friday night at 12:01am!